P.K. Gallagher - It's funny—writing is what I love to do more than anything, and yet whenever I'm asked to write about myself, my vocabulary more or less abandons me. For this reason, please don't begrudge me too much for keeping this short and sweet. I am 22 years old, and while I’ve worked as a journalist, an editor, a copy editor, and a writing consultant, I have always wanted to be an author. 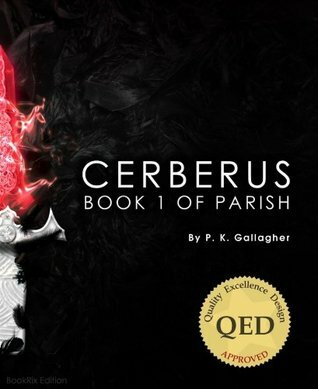 I published my first novel, Cerberus, in August 2013 and could not be more excited. It really is the fulfillment of a dream for me. This is nowhere near the end of the line, though. I’m already working on book 2 and have the rest of the series planned out in my head. I guess you could say I’m just getting started.